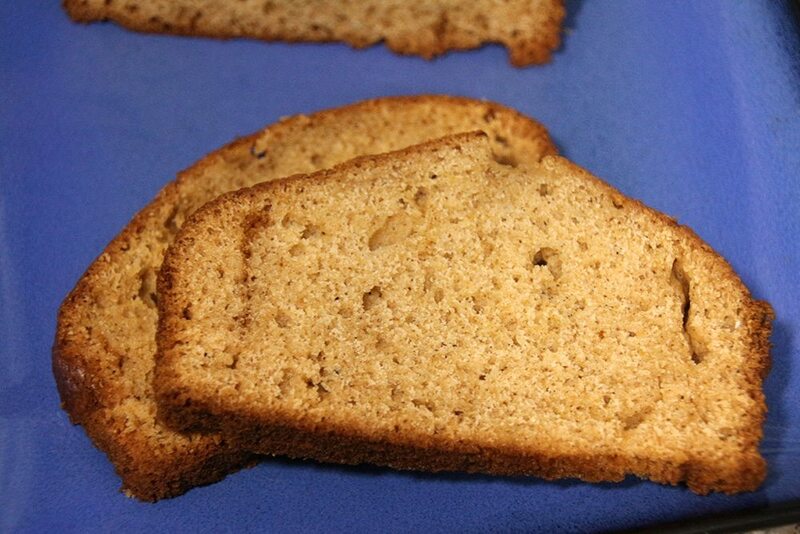 First things first: there is NO pumpkin in this bread! 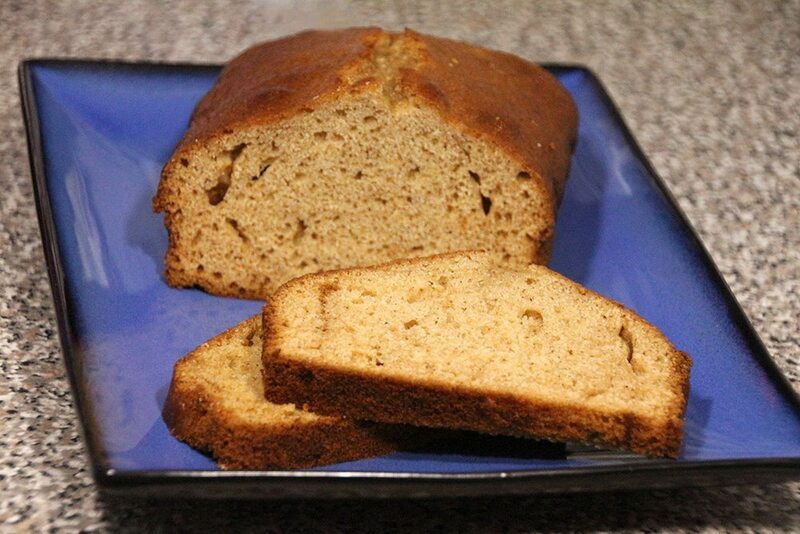 I know at this time of year that it’s easy to see the word “spice” and automatically associate “pumpkin” with it, but the spice stands alone in this bread. 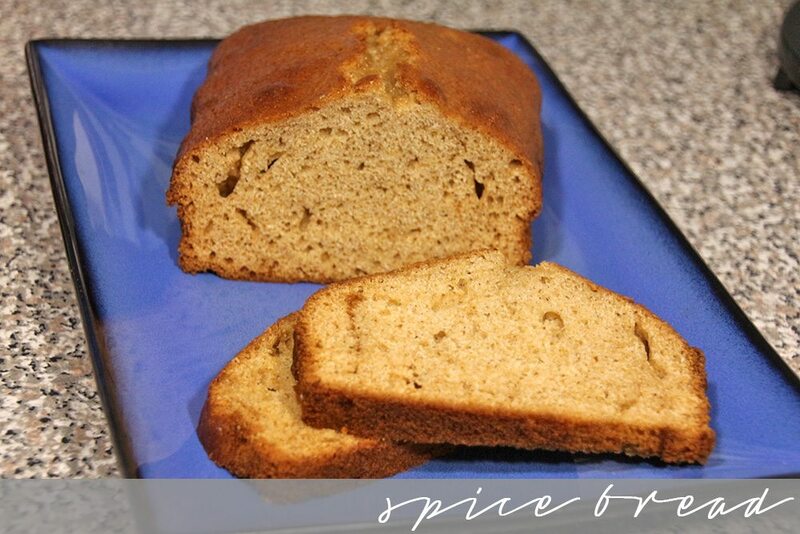 So what is a spice bread exactly? Well, it’s full of 3 delicious fall spices – cinnamon, nutmeg, and cloves. Honestly, when it was baking, all I could think about was Thanksgiving morning. There’s just something about nutmeg and cloves that always transports me right to Thanksgiving. Anyway, back to the bread. I’ve been eating it for breakfast this week, and it’s just so perfect. 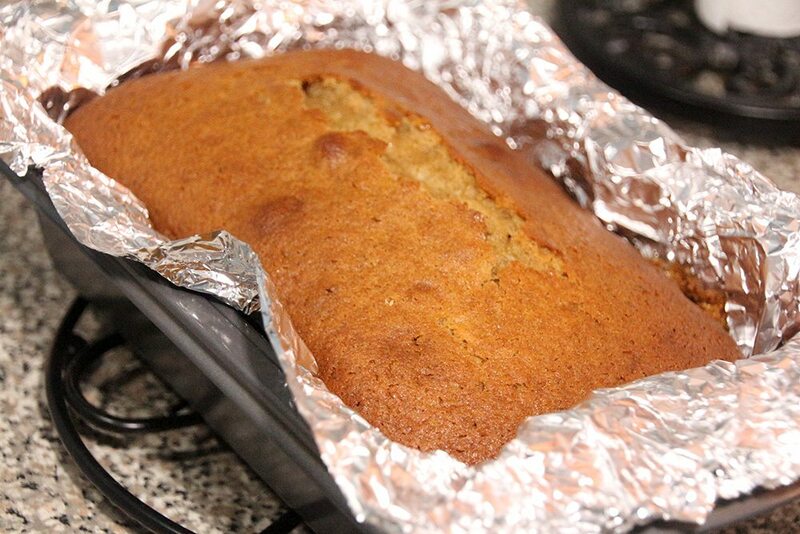 A slice is enough to keep me full until lunch, and it’s just perfect for a cozy, chilly morning. 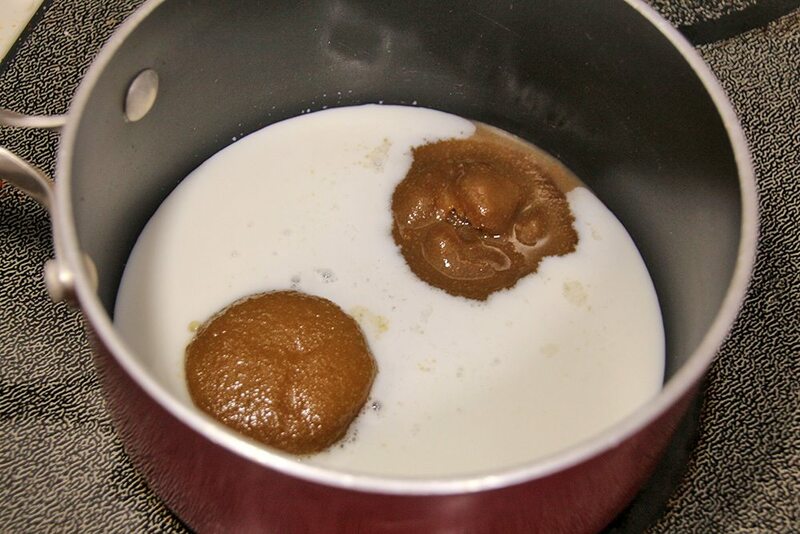 In a small saucepan, cook the brown sugar and the milk over low heat, stirring until the sugar has dissolved, then remove from heat. 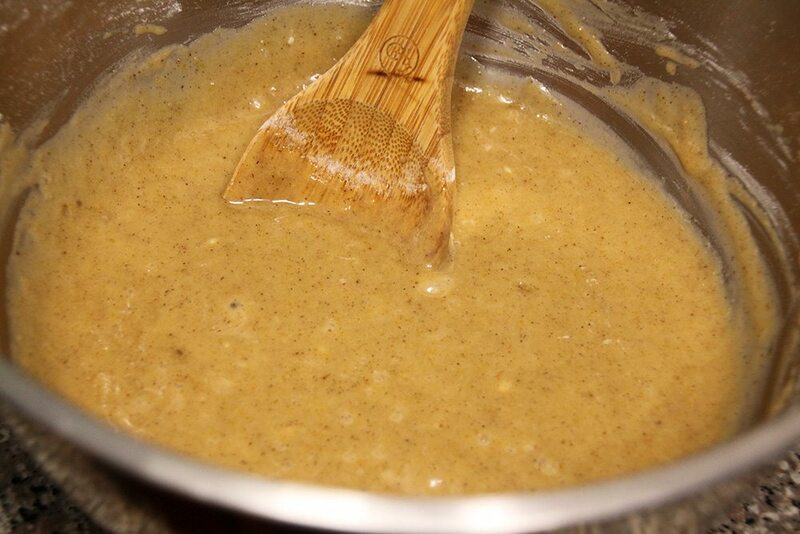 While the brown sugar and milk is cooking, whisk together the flour, baking powder, cinnamon, nutmeg, and cloves in a large bowl. 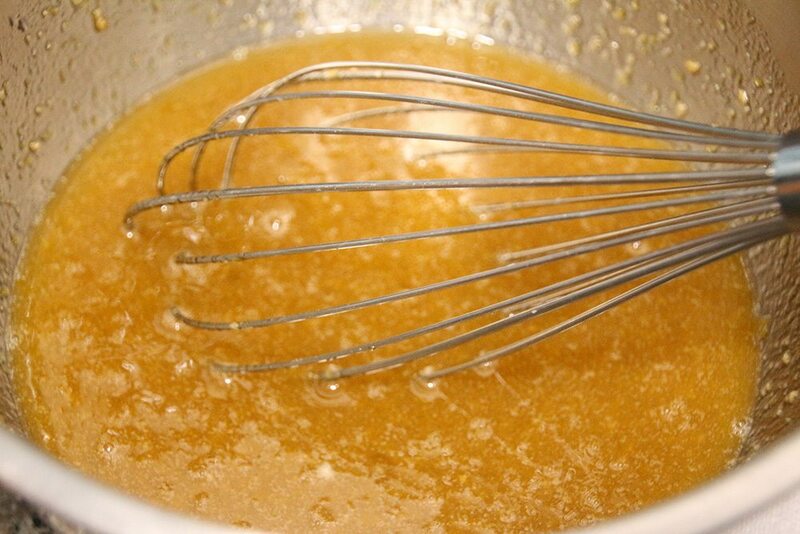 In a separate bowl whisk together the eggs, honey, agave nectar, oil, and the brown sugar mixture. 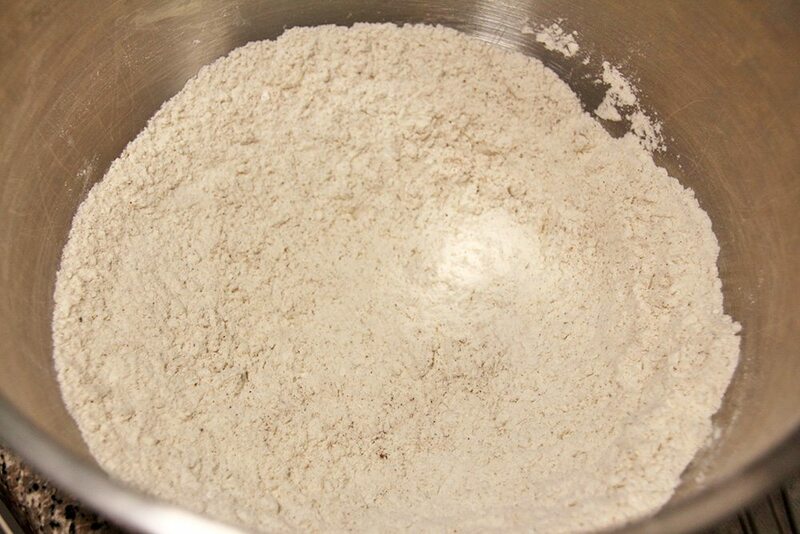 Slowly pour the liquid into the flour mixture, and stir until just combined. 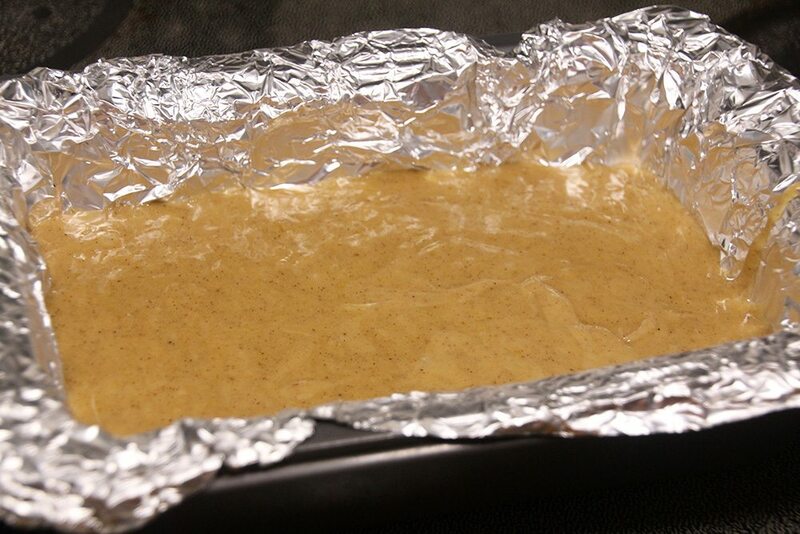 Line a loaf pan with foil and pour the batter into the pan. Bake at 350 for 50-55 minutes, or until a toothpick inserted in the center comes out clean. What’s your favorite thing to have for breakfast lately? What smells automatically make you think of Thanksgiving?